This Statement of Faith express the doctrines which the members of Grace Church consider unite Christian believers. Anyone who wishes to become a member of the church must wholeheartedly subscribe to these beliefs. We believe that the entire Bible, comprising the sixty-six books of the Old and New Testaments, was written by men inspired by God. As such it comprises the Word of God. As originally given it is true in its entirety, and it is the supreme authority by which all human conduct, creeds, opinions and beliefs should be tested. We believe that there is one, and only one, living and true God. He is an infinite, eternal, intelligent being. In the unity of the Godhead there are three distinct persons, the Father, the Son and the Holy Spirit. These three persons are equal in being but execute distinct roles in the great work of God in salvation. We believe that Jesus Christ is the Son of God. He was fully God from eternity. Through the incarnation he became fully man. He was conceived by the Holy Spirit and born of the virgin Mary. He lived a perfect, righteous and sinless life, as recorded in the Gospels of the New Testament. He was put to death by crucifixion and his body was physically buried. Three days later he was physically raised from the dead. He ascended into Heaven and is now seated in glory at the right hand of his Father. We believe that the entire universe was created by God, through the agency of Jesus Christ, and that it, and everything in it, is sustained by Him. He is completely sovereign over his creation, so that nothing may take place which is not in accordance with his permissive will. We believe that God created mankind, male and female, in his likeness. Man was created in original righteousness to worship God and to enjoy a relationship of fellowship with Him. Through voluntary disobedience he fell from that state and became subject to the just judgement of God. In consequence all men and women are by nature subject to sin, positively inclined to do evil, and incapable of regaining or attaining righteousness by their own efforts. They live under the just condemnation of God, in enmity towards Him and alienated from Him. After death they face certain judgement and stand rightly and fairly condemned to eternal punishment. We believe that God has intervened in history to save men and women from sin and judgement, so that they might be restored to true righteousness and reconciled to enjoy eternal fellowship with Him. Men and women are saved wholly by God through grace. Such salvation is made possible only through the mediatorial work of the Son of God. By means of his death upon the cross, Jesus Christ made a full atonement for our sins. He willingly stood in our place as a substitute and representative, becoming sin for us, thereby taking upon himself the just judgement of God which we deserve. He obediently offered himself as a sacrifice for our sins to propitiate the wrath of God against us. By virtue of his death, men and women may receive the forgiveness of their sins, freedom from condemnation, and a new spiritual life which will continue for eternity. We believe that the salvation made possible through the mediatorial work of Jesus Christ is effective to save only those men and women who repent of their sins and exercise true faith in Jesus Christ by submitting to him as their Lord and Master. Salvation is bestowed freely upon those who exercise such genuine repentance and true faith, and is not earned by the performance of works of righteousness. We believe that in order to receive salvation a man or a woman must be regenerated, or born again, by the work of the Holy Spirit of God. Without such regeneration, men and women remain sinners in a state of spiritual death and are incapable of exercising genuine repentance and true faith. The Holy Spirit is alone able to convict and convince men and women of their sinful state, of the fact that they face the certain prospect of the eternal judgement of God, and consequently of their need of salvation. He alone enables them to comprehend, and appropriate for themselves, the mediatorial work of Jesus Christ. The Holy Spirit is likewise alone able to bring men and women to rebirth and new spiritual life, enabling them to place voluntary faith in Jesus Christ. Such faith is itself a gift of God. A person who exercises genuine repentance and true faith in Jesus Christ is thereby justified before God in accordance with his promise. Justification involves the receipt from God of a sure and certain pardon of all sin, whether past, present or future, and the imputation of the perfect righteousness of Christ. A justified person is as acceptable to God as Jesus Christ himself, and is adopted into the family of God as a son and heir. We believe that when a person is regenerated and justified by genuine repentance and true faith in Jesus Christ, the Holy Spirit enters his or her body and henceforth makes His dwelling there. The presence of the Holy Spirit in the life of a regenerate person brings him or her assurance of salvation, confidence of adoption into the family of God, and guarantees that he or she will receive eternal life in the age to come. We believe that those who are regenerated, justified and indwelt by the presence of the Holy Spirit are subject to the transforming work of God. Whilst such persons will never be entirely free from sin before being raised to new resurrection life in the age to come, in this present life they will experience a progressive growth in righteousness and godliness. By the presence and power of the Holy Spirit, appropriated by mortification of sinful desires, their lives will exhibit the fruit of the Spirit and they will be brought into ever increasing conformity with the character of Christ. Whilst salvation is not earned by the performance of works of righteousness, it is always evidenced by godly conduct and the performance of good works pleasing to God. We believe that the Universal Church is the spiritual body of Christ, which consists of all people who have exercised genuine repentance and true faith in Jesus Christ and have been adopted into the family of God. The Universal Church is a world-wide body, and its members are united in fellowship with one another irrespective of race or nationality. The extent of the Universal Church is known to God alone and remains invisible to man. Jesus Christ is the head of the Universal Church, and it is the body through which he accomplishes the world-wide proclamation of the gospel message. The Holy Spirit bestows gifts upon members of the Universal Church which enable it to grow to maturity in Christ. We believe that members of the Universal Church are commanded to join together as local congregations. 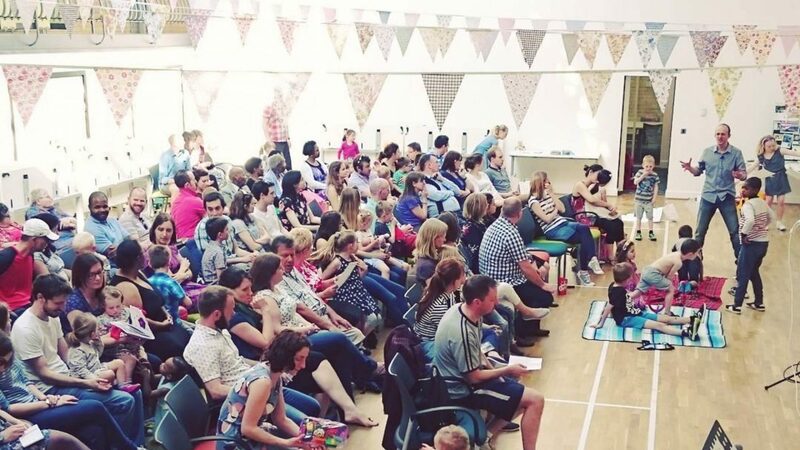 A local church is a visible assembly of regenerate individuals, organised in unity under a suitably qualified leadership, who meet together to join in corporate worship, fellowship, prayer, teaching, instruction and to encourage one another to persevere in faith and good works. A local church must duly administer the twin signs of grace instituted by Jesus Christ, namely Baptism and the Lord’s Supper, and exercise such discipline as may become necessary against believers who fall into apostasy or commit open and notorious sin of which they are unrepentant. We believe that, at a time unknown to any but God himself, Jesus Christ will return from heaven to bring this world, and this current age, to an end. He will return in person and in great power to gather all his people to himself. The dead shall be raised and all men and women shall be judged by Him. A solemn separation will then take place. Those who are not regenerate and justified shall be condemned to eternal punishment in Hell. Those who are regenerate and justified shall dwell eternally in the presence of God, reigning with Christ in his kingdom.